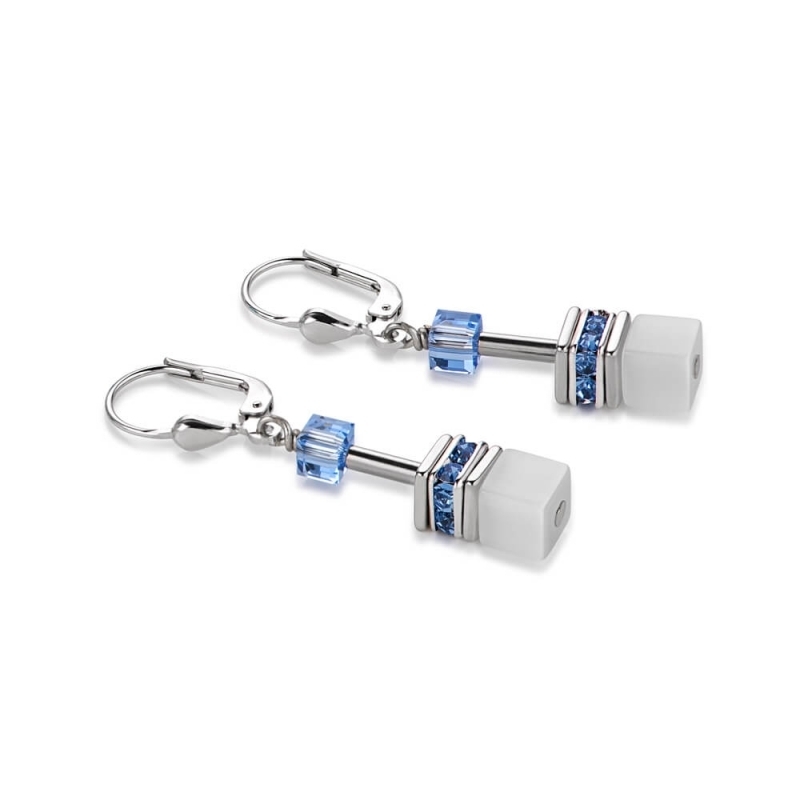 Coeur De Lion Geo Cube Multicolour Pastel-Blue Earrings. Hand-finished multicolour earrings featuring synthetic tiger's eye, Swarovski® Crystals and rhinestone rondelles. Rhodium-plated sterling silver leverback hook.